Missed out on the SundaySupper lineup (I thought I responded to the thread but I was wrong, oh well) with hometown recipes for a theme. To be fair, I already made my hometown recipe of Roma Pizza which every person who has ever been to an event in Hamilton has had. What else is there? Hrm. There’s a LOT of donut shops since Hamilton housed two 24 hour steel mills. It’s moved away from that onto more of a medical industry but hey, there’s always a Timmy’s on the corner to get your double-double on. Timbits, or as yanks call them, donut holes are awesome. I think they threatened to take them away sometime last year and there was a polite protest so they apologized or something. That’s Canada for you. 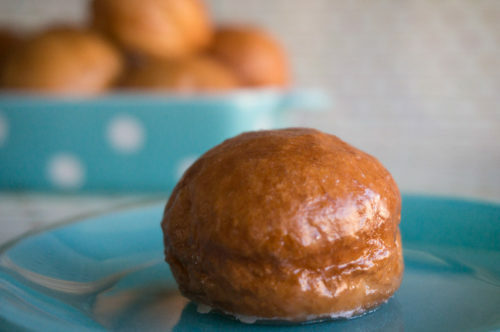 I dig the cake ones, and they would be easy to make if you had a cake pop machine however I decided to go old school and do the old-fashioned yeast raised glaze. You know, real doughnuts. Whisk together the water, yeast, milk, sugar, salt, and 1 1/2 cups of the flour until combined. Add the egg replacer and beat until incorporated. Add the other 1 1/2 cup of flour, and using the dough hook, beat for 3-5 minutes until dough completely pulls away from the insides of the bowl. Once the dough is done, cover the top of the bowl with plastic wrap and let rise in a warm place until doubled in size, about one hour. After the dough has risen, roll it out onto a floured surface at a thickness of about 3/4 inch thick and cut out using a small round cookie cutter. After cutting, place them on a greased pan, cover with plastic wrap and let rise for one more hour. Put at least 2 inches of canola oil in a heavy pan and heat on medium/high for a few minutes until it reaches 375 degrees. 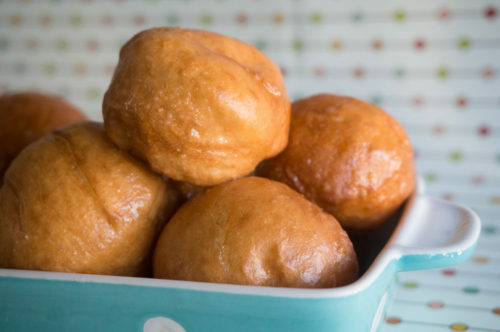 When the donut holes have risen to double their size, fry in hot oil for about 30 seconds per side. Check the bottom of the donuts and see if they are a nice golden color before flipping. 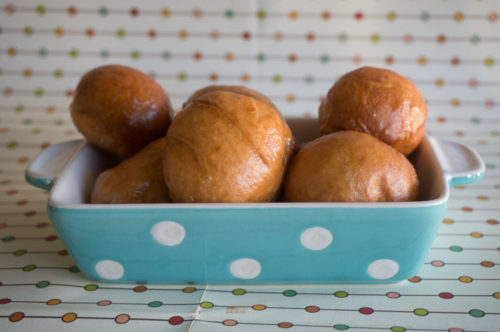 Place holes on paper towels to drain excess oil and then dip them in glaze and put them on a cooling rack with wax paper under it to set. Blend the following: 2 Cups powdered sugar (sifted if lumpy) 3-6 Tablespoons of water or non-dairy milk. Should be on the runny side. You are in the Sunday Supper lineup – your title was listed under main dishes. And I couldn’t wait to see what timbits were. I’m glad you shared the recipe. These look so good! I have been on a major donut bender for the last few months. Regular glaze & cinnamon sugar are still my favorites! These are so cute! The glaze looks to die for! I didn’t know that’s what Canadians called these little cute little donuts! We call them Munchkins here in MA and NH 🙂 Love how you made these from scratch! These could be extremely dangerous in my kitchen. I have eaten more than my fair share of Timbits. I used to love them, as well as Dunkin Donuts Munchkins. I know this homemade version would taste soooo much better! I do love timbits! (but I do call them munchkins, that what we call here in on east coast, both in ohio and Pa) They look delish!!! Mmmm love the look of that glaze! Yummy! 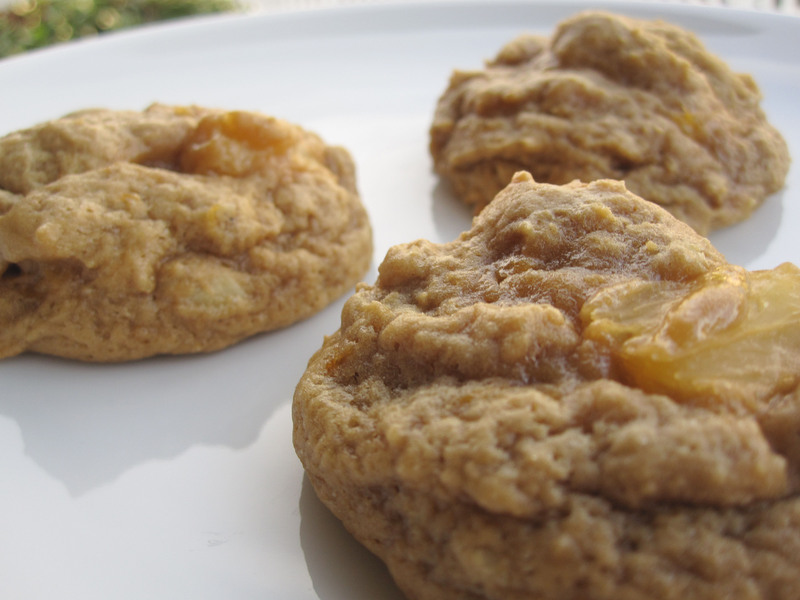 I recently tried to make vegan chocolate chip cookies.. now I’m totally going to look for ener-g egg replacer!! Never knew about this! 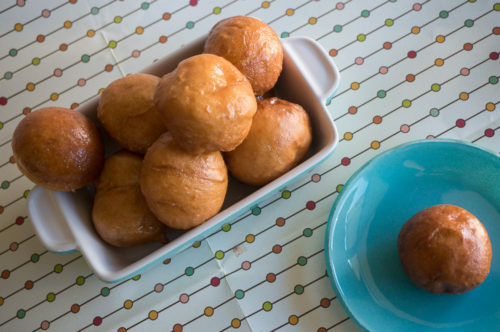 and love these doughnut holes! It’s a great egg replacer, I use it all the time when I don’t want to do science in my kitchen to figure out what will work and what won’t for 1-2 eggs. 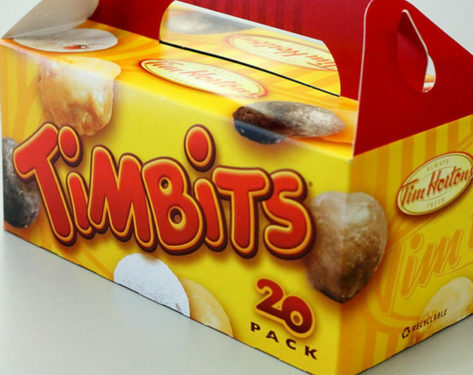 I had no idea what a timbit was, so I did not guess your hometown was in Canada! 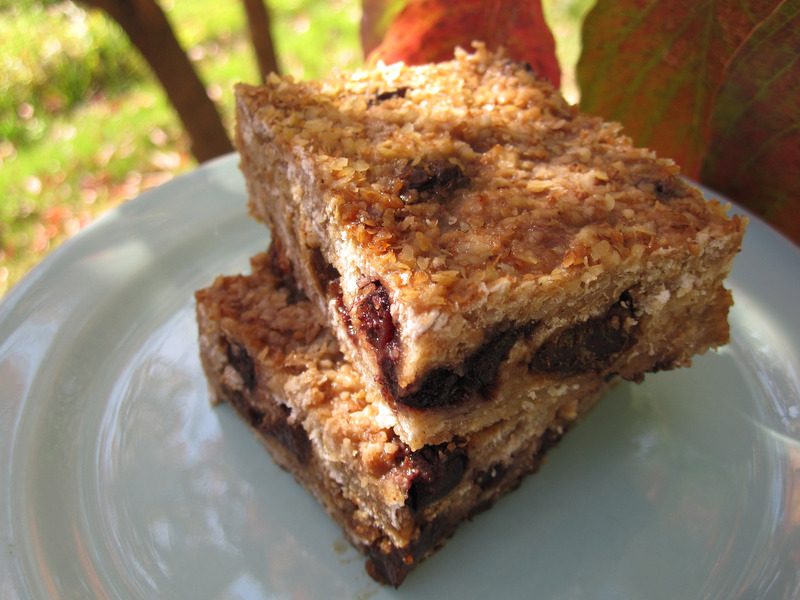 But these look amazing and I love that you make them vegan! Howdy Neighbor, We have Tim Hortons in Michigan as well and we love timbits. Your version looks wonderful. I never realized you were so close to where I live! Timbits are fabulous creations, aren’t they? I love the honey crullers, but the sour cream chocolate cake ones are divine! You can’t argue with a good donut. We once crossed the border just to get our Tim Horton’s fix;) Your pictures are lovely, by the way! We in Michigan love our timbits too. I have never tried to tackle making them. Can’t wait to try out your recipe. Yum! I miss donuts and donut holes. The baked ones are okay, but just no the same. These look delicious! I just want a nice hot cup of coffee to nosh with them. YUM! These look so tasty, and I love that they’re vegan. What a cuuute word for donut holes! I can pop about a dozen of these before I can even think about stopping. I can’t believe these are vegan–love love love! Sharing! What a great vegan dessert! Who knew? Timbit + donut holes! That’s the beauty of this week’s theme. It’s been really cool to learn about hometown foods from around the world! You timbits look awesome! How many cups or tablespoons is a “package” of yeast and is margarine needed or not? The first instruction says to use margarine but it’s not included in the ingredients. I had margarine in my first attempt melted, sorry about that, took it out of the directions. A packet of yeast has 2 1/4 teaspoons of 1/4 ounce.